There’s only a very few pages left in the chapter. After it’s finished I’m going to take a couple weeks off to finish up the book and go on a trip to a family function. In the mean time I’ll be at Heroescon with Pickles in a couple of weeks! I’ll have books and things and myself so you should come see us! I really love the cute little pull Ian does in panel 4. 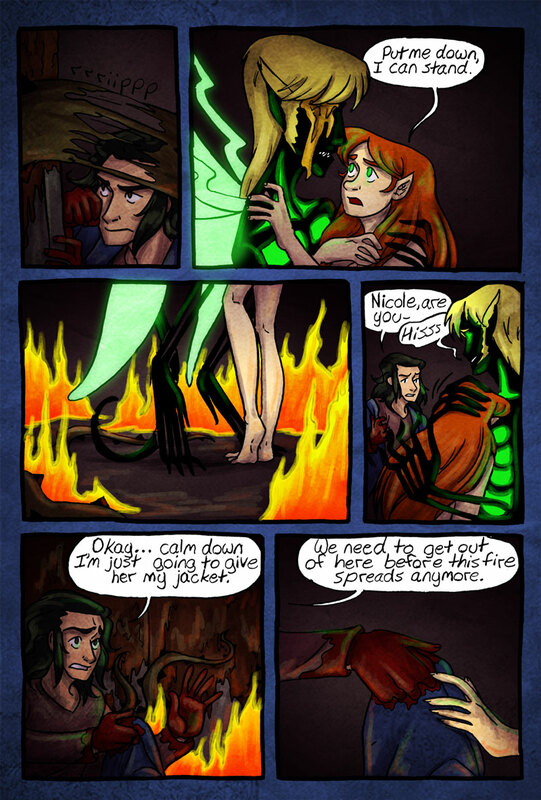 You know, as cute as an overprotective fae boy clutch can be. well, gabry was coming up on his blind side….wait, is that eye gonna grow back? Man, Ian has the worst luck. If not…then Ian’ll be like meeee. Yay?